You are here: Home / Tours and Live Performances / 2017 Queenbert / Adam Lambert – About to Jump on the Tightrope Again! Oh we won’t tell anyone Brian! In the latter part of the video, he starts talking about what he’s included from current days, including Paul Rodgers and at 4:00 – “… a few pages on the wonderful Adam Lambert!” and speaks lovingly about Adam’s fans! So again, Adam will be on the tightrope, juggling his solo career and being a member of Queen. I’m so excited that he’s been working on his 4th album and can’t wait to hear anything about it. He must like the balancing act, because this reminds me of three years ago when he bounced back and forth between working on The Original High and his Queen life. I hope he’ll also be able to find time for a great solo tour! Adam is so talented, Thank Goodness Queen recognized his talent, they were made for each other. Love everything Adam has done in his career, looking forward to much more!!!!!!!! I’m so excited about Queen and Adam continuing their tour this summer in Oct and Dec. The whole world wants to see them and SoAm is once again begging for them to return. 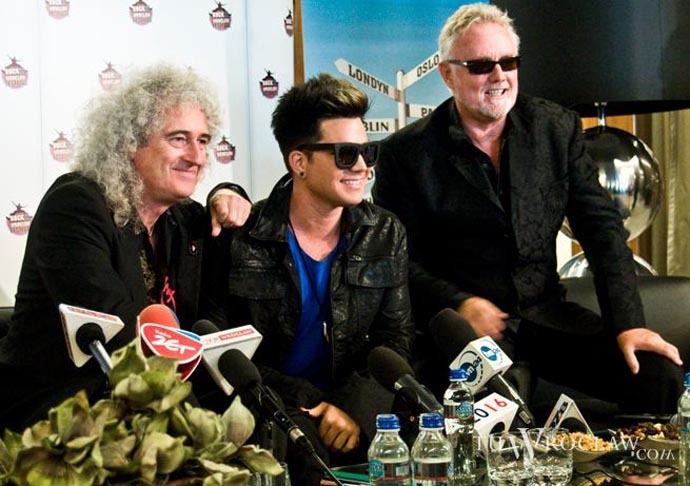 Also I’m extremely happy that Brian and Roger appreciate Adam and his amazing singing talent. They are so supportive and love Adam like family. I’m glad they’re so successful! Adam should be heard all over the world!